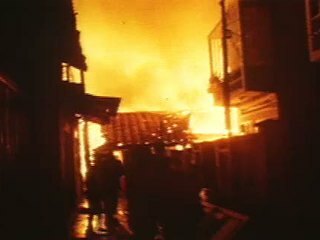 Chicago: “American Experience; Nixon; Saigon night rocket attack, 1968,” 05/19/1968, WGBH Media Library & Archives, accessed April 23, 2019, http://openvault.wgbh.org/catalog/V_28453787E4354073B89416ABC81F7F05. MLA: “American Experience; Nixon; Saigon night rocket attack, 1968.” 05/19/1968. WGBH Media Library & Archives. Web. April 23, 2019. <http://openvault.wgbh.org/catalog/V_28453787E4354073B89416ABC81F7F05>.